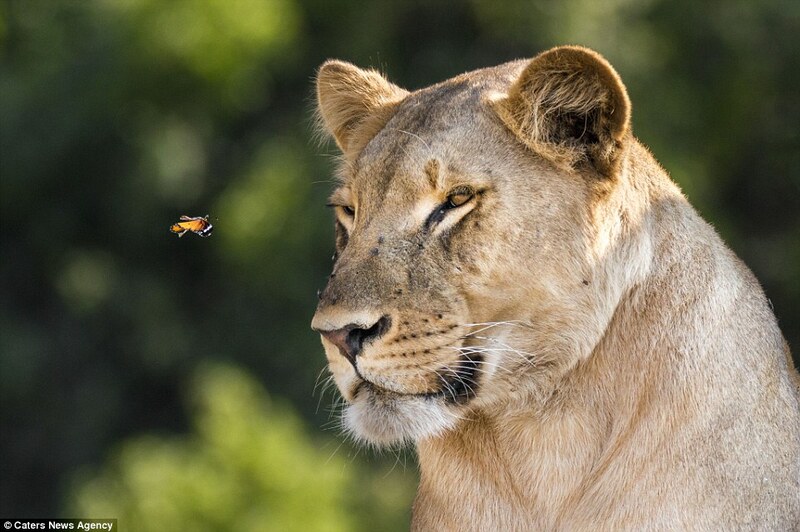 The brightly coloured insect was spotted calmly flying next to a lion and almost landing on the predator's head. 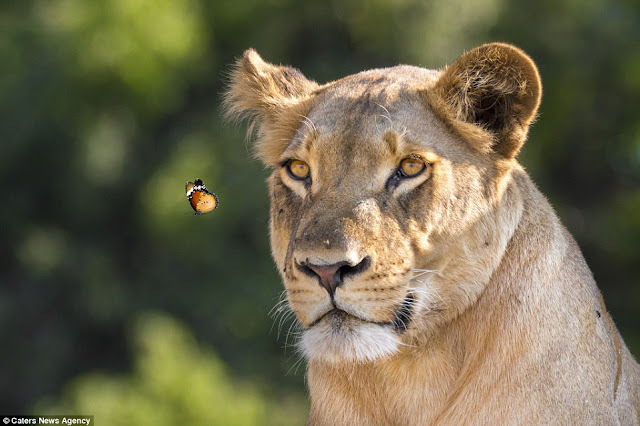 But while looking a little annoyed, the female lion appeared to be somewhat of a gentle giant as she allowed the butterfly to fly peacefully around it. 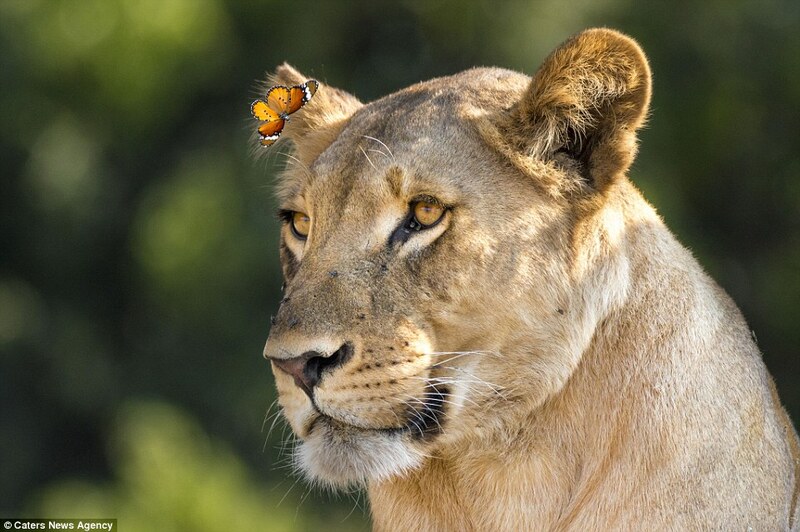 Careful not to aggravate the lion too much and perhaps sensing its annoyance, the gentle butterfly soon flew away. 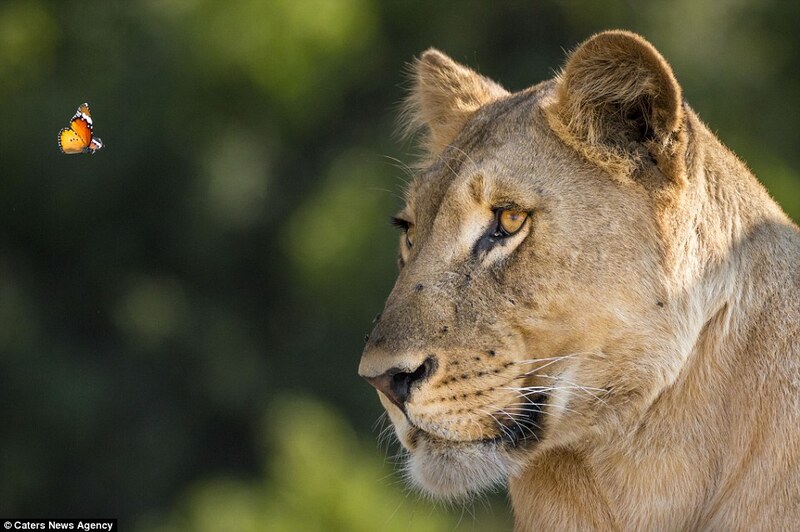 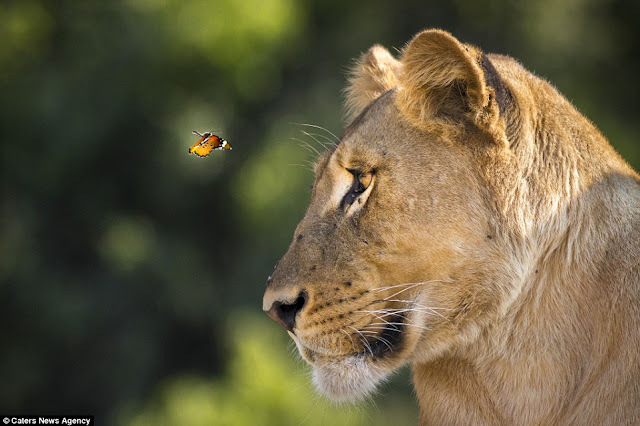 This image was captured by photographer William Steel in Chobe National Park near to his home in Botswana, Africa. 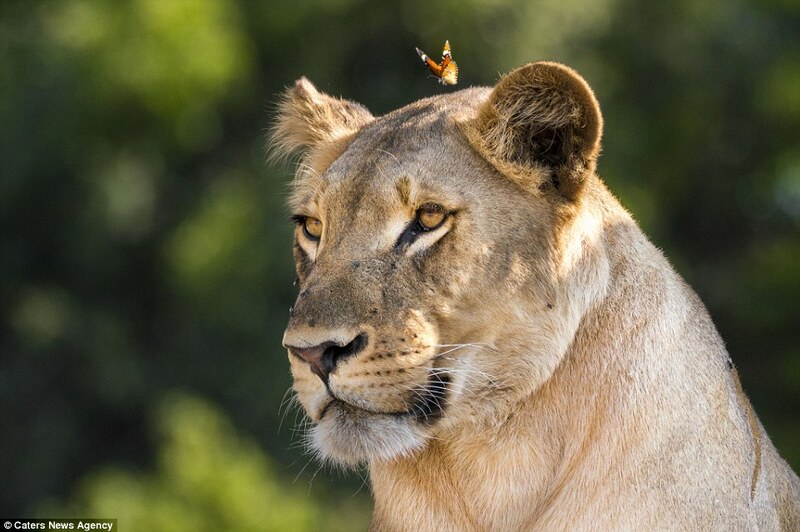 He added: 'The beautiful female lion was lying down, propped up against an ant hill in lovely afternoon light. 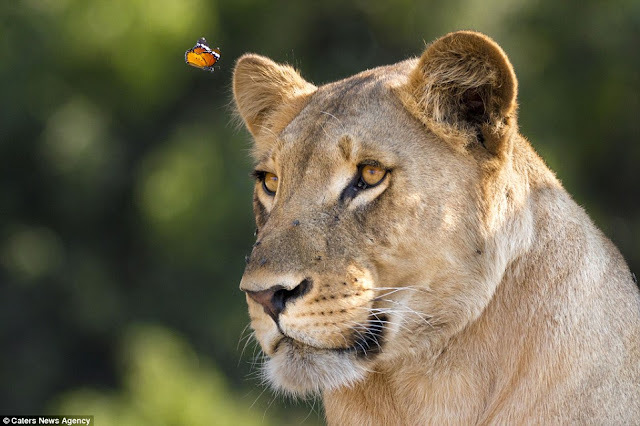 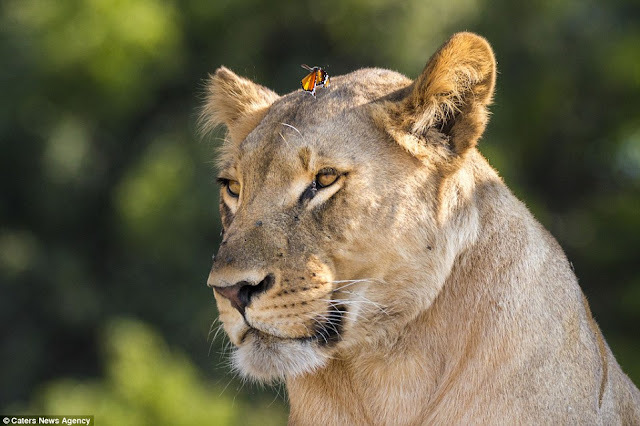 'It raised its head to investigate a passing herd of impala when suddenly, out of the blue, the bravest of butterflies began to fly directly at the lion's face in repeated aerial dive bombs. 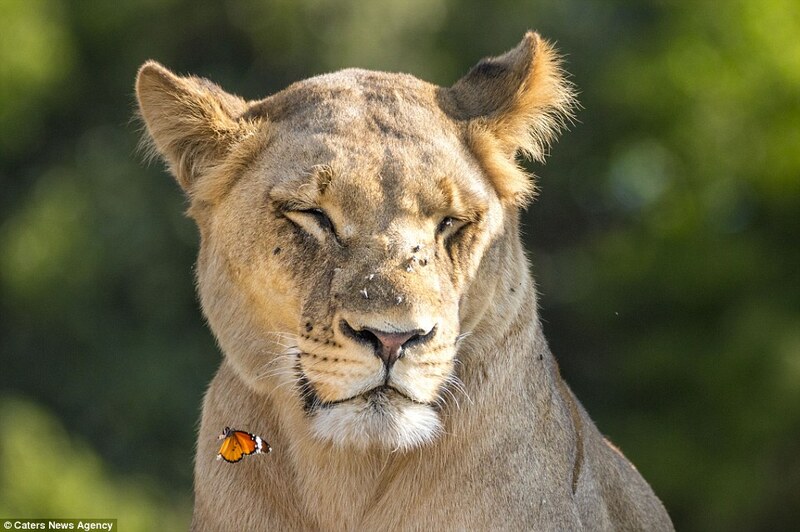 'The lion simply glared in annoyance each time the defiant butterfly brushed past its face. 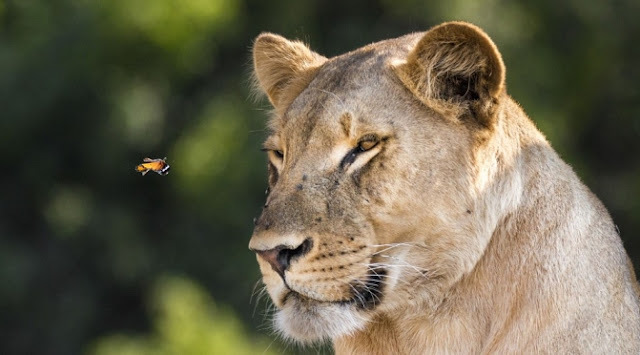 'The simple answer is the butterfly was simply too small to effect the lion, like the constant pestering flies on its face, lions become tolerant to these irritants. Responses to "Spectacular images capture the moment a butterfly catches the gaze of a graceful lion"